A young carer from Blaenau Gwent reveals how volunteering for a National Lottery funded project helped develop her skills and passion for environmental conservation and provided her with a much needed break from her caring responsibilities. Twenty-year-old Sally Morgan from Brynmawr, Blaenau Gwent, is a full-time carer for her father who suffers from chronic heart failure. He has a pacemaker; defibrillator and aortic valve fitted and struggles with many simple daily tasks around the house. However, Sally is among the numerous people from the Upper Ebbw Vale Valley to reap the rewards of volunteering opportunities available through the People and Wildlife project ran by Gwent Wildlife Trust. 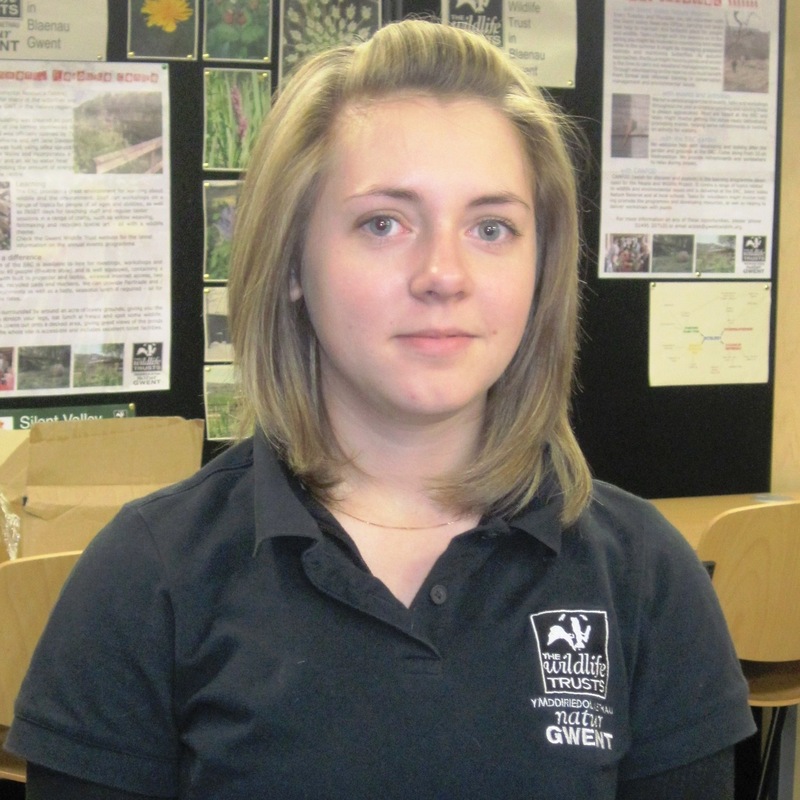 Such has been the impact of her volunteering Sally has now found work as reserves officer assistant with the project and is studying towards an Open University degree in conservation and ecology. . . I am a part time carer for my father with my older brother, which we have been for the past six years. Caring takes up a great deal of my time as my father needs help with simple day-to-day tasks like washing and dressing. I manage my personal time and general tasks around my father’s needs, which may mean getting up early just to complete everyday tasks or putting my needs and wants on temporary hold. I found that after finishing my studies at secondary school I had spare time on my hands, which I could use to further my interest and knowledge in conservation. Having always been keen to get involved and learn different aspects about the environment which we live in, I dedicated two days a week to Gwent Wildlife Trust’s Silent Valley volunteer group in 2011. Through my involvement with the project and by working with the Reserves Officer on the Silent Valley Nature Reserve, I’ve learnt a lot of new practical skills related to the management of local green spaces for the benefit of wildlife but also as places for people to visit and enjoy being outdoors. From just volunteering two days a week, I found I was learning new skills such as stock fencing, land management, identification skills and first aid; which made my caring aspect easier as no one in my family was first aid trained. I have attended numerous Gwent Wildlife Trust courses, talks and events, which has given me the opportunity to meet likeminded people and build lasting friendships, which would not have been possible previously. I personally think the best parts of working in front line conservation outdoors are you never know what to expect. One day could be wet and windy, and then the next brilliant sunshine; or, having a great deal of fun with a group of volunteers from mixed backgrounds. After volunteering for 12 months I applied for the 6 month Trainee Reserve Assistant post with Gwent Wildlife Trust, which I was apprehensive about taking on due to my caring responsibilities, but I was successful in gaining. I was delighted to know that my hard work was rewarded and that Gwent Wildlife Trust had confidence in my abilities as an individual. I think as a carer some people lose the idea that they are an ‘individual’, which can be hard to deal with. Volunteering gave me the chance to overcome this problem. Through this placement I’ve gained further skills and experience, including job application and interview skills that will help me to secure longer term employment in the future. And having recently gained training in brush cutter and trimmer courses, I became aware that this would not have been possible without the trainee post. I’ve gained in confidence and I’m now studying towards an Open University degree. Due to caring commitments, I’m unable to move away to attend University. After my trainee post expires, I wish to complete my ongoing university studies in conservation and ecology whilst I continue working in conservation hopefully as a Reserves Officer Assistant. Search the map for volunteering opportunities in the Gwent Wildlife Trust region. Editor’s note: Funded with £250,000 from the National Lottery Community Fund’s People and Places programme, the project works with volunteers like Sally at the Silent Valley Nature Reserve. The project provides groups of young people who are not engaged in education, training or employment with experience of working in conservation to increase their practical skills and help them work better as a team to achieve a goal.